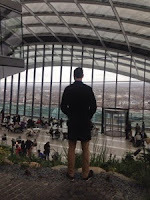 As part of Russell' birthday celebrations we visited the highest rooftop garden in London, Sky Garden. 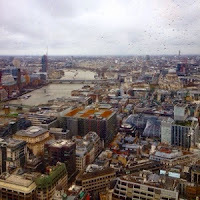 Situated on 35th floor of 20 Fenchurch Street (nicknamed the Walkie-Talkie) the space offers panoramic views of London. 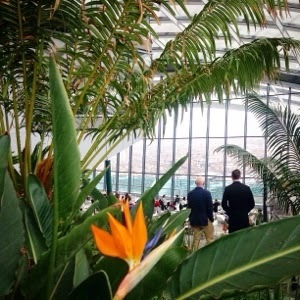 Sky Garden is technically a public park so access is free, but you are required to book a ticket online in advance (The View at the Shard allows you to turn up on the day, however they charge £25.) 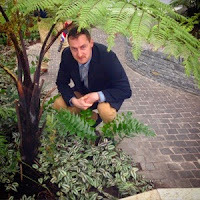 If you make a reservation at one of the three restaurants entry to the garden is included. Before you reach the lift guests are required to go through airport style security (which means the bottle of wine you planned to smuggle in for a pic-nic will be confiscated). 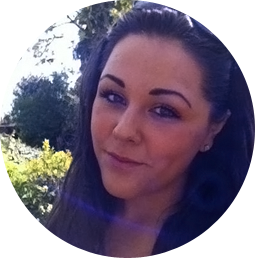 Photo ID of every guest is also needed for security reasons. As the building sits in the centre of the city, yet strangely out on its own, it is uncrowded by tall neighbours, giving a spectacular view. 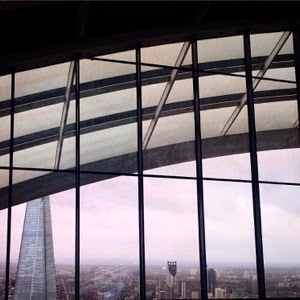 The Shard is the first thing you see as you enter the space. At 150m, your eye-line is exactly halfway up the glistening wedge. 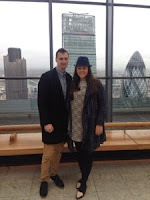 As we sat and enjoyed a coffee, we watched the tiny twinkles of camera flashes from the Shard's viewing gallery. At the opposite end of the garden we were greeted by the towering Leadenhall Building and Gherkin. The garden part of Sky Garden compromises of two slopes situated either side of the central restaurants. This green space was used to justify building such a vast office block on the edge of a conservation area, outside the City of London’s planned cluster of towers. We booked breakfast at Sky Pod which compromised of pastries and coffee - not the full menu as advertised online. 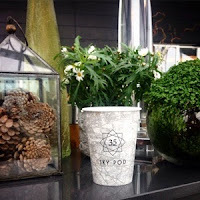 We were a little disappointed to learn that table service didn't start until 9pm (meaning we had to wait in a queue at the bar for one member of staff to painstakingly make each coffee for a spiralling line of Sunday morning guests). 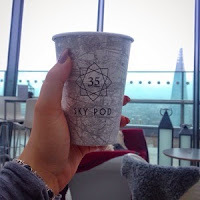 Had we known Sky Pod is simply a relaxed cafe, we would have booked breakfast at one of the other restaurants. The 360 degree views across the city are some of the best in London. The gardens are beautiful and I can imagine it is a serene place to visit on a summer's day. However, I'd suggest booking a free visit to the Sky Garden followed by food elsewhere.